Website presented by Carver Heights Quarterback Club, Tallahassee, Florida. Monday, April 2, 2018, 3:10 p.m. Updated: Monday, April 2, 3:30 p.m.
Suber's system, and the routes for everyone involved. “We have some guys who are coming in, but, for the spring, it’ll be Akevious and Dunham,” Sims said. attended two years before transferring to BCU. 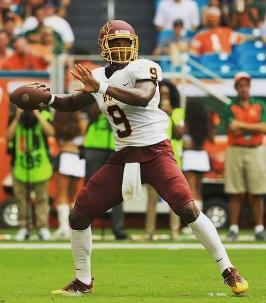 Follow Bethune-Cookman Football on Twitter (@BCUGridIron) for all of the latest news and updates. (@BCUathletics), Snapchat (@BCUathletics) and Facebook (www.facebook.com/BCUathletics).